Home | Skin Care | Proactiv For Teens Review 2019: Save Your Skin! Teenhood is a vulnerable time of your life (Who’s going to ask me to winter formal? Will I ever get to sit on the it-girls table? What’s happening to my body?) The social hierarchy, as well as the stress of school itself, is enough to have anyone breaking out. There was always that one kid in high school who you could tell just by looking at them that they were going through puberty. Braces, growth spurts, voice breaking and, unfortunately, pimples, are all a rite of passage into adulthood. A startling 85% of adolescents experience teenage acne (honestly, I wouldn’t be surprised if that number was closer to 100% but some people are just in denial). I remember there was one girl in my class who had a bizarre obsession with popping pimples. Not just her own – anyone’s. Let me tell you, her high school years were the highlight of her pimple-popping career. That was until Proactiv entered the scene. Your hormones are all out of whack in your teenage years, which makes pimples kind of like your hallmark signature during these years. That’s why there are brands and companies, like Proactiv, that are determined to cure your pimple-induced woes. So, what’s the deal with these ugly manifestations of what is essentially a necessary and wholesome stage of one’s life? They don’t call them “raging, hormonal teenagers” for nothing. During puberty, your body starts producing high levels of androgens. These hormones are primarily testosterone for boys and the conversion of estrogen in girls. Androgen, when produced in excess, makes your oil glands active, causing over-production of sebum. Too much sebum blocks your pores, causing them to get infected and turn into pimples. It also has the potential to trigger the growth of Propionibacterium acnes bacteria, which is the bacteria that causes acne. The most common type of acne that teens get is called acne vulgaris (it sounds worse than it is – vulgaris just means “of the common type”). It usually shows up on the face, neck, upper back and chest. Pimples can also be stress-induced. When we’re under stress or pressure our bodies release a hormone called cortisol which triggers sebaceous glands to make more oil. This fact alone makes it no surprise that teens are the biggest sufferers of acne. Being a teenager is stressful! A date with your crush or a math final can both lead to your face looking like a connect the dot’s puzzle. At the end of the day, it’s important to remember that you didn’t do anything to cause your acne. It’s a burden that has been slung onto your shoulders. But the good news is that there are things you can do to minimize the damage. 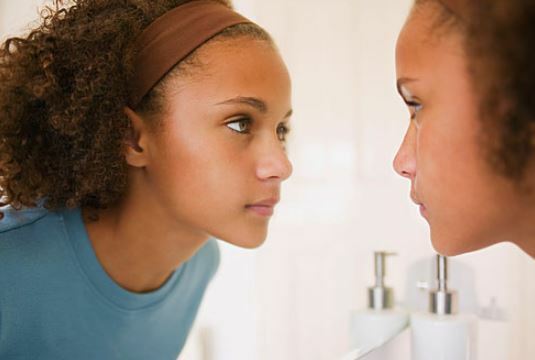 Top 5 Tips To Stopping Teen Acne. In order to reduce the bacteria and dirt getting into your pores, it’s crucial to keep your skin clean. Dust, pollutants and other external elements can exacerbate your acne. Wash your face gently twice a day and dab it dry with a clean towel. 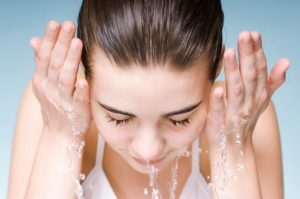 This will keep your skin clean – the basis for a clear complexion. Clean skin also allows for products and treatment to be absorbed more readily into the skin – therefore making healing more effective. Make sure not to do this too often, or too vigorously, though to ensure that you don’t end up stripping your skin of its natural oils. Balance is key. There’s a difference between keeping your skin clean and rubbing at it aggressively to remove dirt. That being said, it’s crucial to exfoliate your skin regularly to slough away any dead skin. 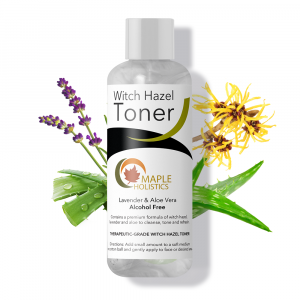 Essentially you want to help your skin along its renewal process as quickly as possible. You need to remove the old layer of skin first in order to do this. With this in mind, you should be using a gentle scrub (avoid heavily granulated formulas) to clear your skin. Also, keep your exfoliating routine to once a week -you don’t want your skin to be stripped of its own oils – we know that this will only lead to more oils being produced to make up for lost time. Not ideal. Staying hydrated will help your skin not overproduce sebum. When your skin is producing more oils it’s easy to think that the cure must be to reduce the amount of moisture you apply to your face, right? Wrong. When your body is dehydrated it causes your skin to produce more sebum to make up for the lack of hydration. This means it’s essential to increase your water intake – as well as invest in a super-hydrating moisturizer – to keep your oil production balanced. What’s more is that water flushes toxins out of the body. A lack of proper hydration can slow the elimination of these toxins from your body, leading to higher chances of acne. Well-hydrated skin is more resilient and is able to regenerate properly. 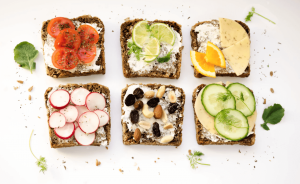 Your diet could have a negative effect on inflammation and hormone balance. It should come as no surprise that what we eat affects our skin. If you suffer from acne you should be eating clean foods that fight issues like inflammation and hormone balance. Healthy hormonal activity starts with a well-functioning liver to remove toxins from the bloodstream. Fill your plate with antioxidants like blueberries, grapefruits, and beetroots. To reduce inflammation, you should include complex carbohydrates and fatty fish into your diet. These foods will all target your acne from the root, not just cover up the symptoms. Water-based products should be used instead of oil-based ones. 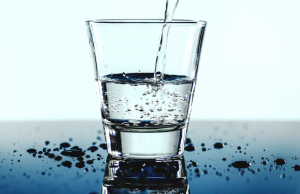 While hydration is an important factor of reducing acne, it’s necessary to realize that you want water content, not oil content. If you use a water-based product instead of an oil-based one your skin will be hydrated rather than only moisturized. 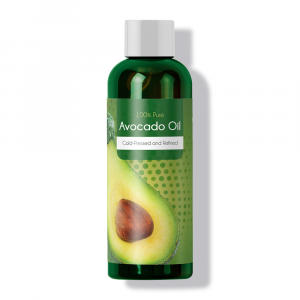 Going oil-free with all your skin-care products is a fundamental of anti-acne treatment. As well as being oil-free, makeup and skincare products should be labeled “noncomedogenic”. This means the product won’t contribute to clogging your pores and making your acne worse. If the all-natural way just isn’t doing it for you then a company that sets out to eradicate acne from the core is Proactiv. They have specially formulated products to target teen acne and the symptoms that come with it. There is a range of products to choose from but whether you’re looking for an overall solution or a quick-fix for emergencies, Proactiv has got you covered. 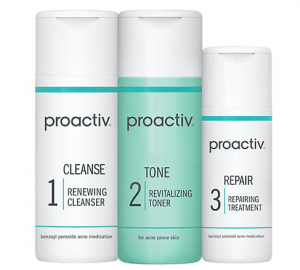 The Proactiv Solution is basically your starter pack to getting rid of your acne. It comes with a 3-step system to fight acne from the core. There’s a renewing cleanser, revitalizing toner and repairing treatment so you can really incorporate it into your routine. The products contain micro-crystal benzoyl peroxide as an antibacterial treatment that penetrates the skin’s hair follicles to reach bacteria that causes acne. The Proactiv Solution uses enough of this chemical to kill bacteria, but just the right amount to prevent any irritation. To get the most out of this system you need to use all three products in conjunction with each other. First, remove any debris from your skin with the cleanser. 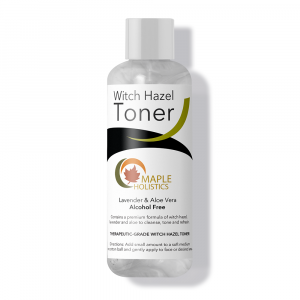 Then apply the toner to refresh the skin and allow your skin to dry. Once you’ve done both those steps, you’re ready for the repairing treatment which will tackle your acne issues much more effectively now that your skin is prepared. 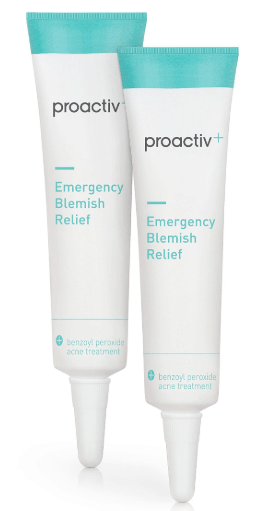 Proactiv’s Emergency Blemish cream is just the thing you need to throw in your school bag to save you from those unexpected breakouts. It’s an invisible spot treatment that contains a double dose of micro-crystal benzoyl peroxide. This treatment penetrates deep into your skin and unclogs your pores. 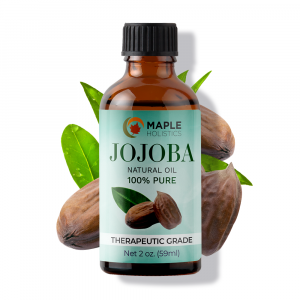 Dab some onto the affected area three times daily to see fast results. When you get those unprecedented breakouts, you want to kill the bacteria quickly before it has time to show its true colors. The high concentration of benzoyl peroxide in this formula targets acne-causing bacteria effectively. That pimple will be dealt with before anyone can comment on your new addition to the pimple family. These body pads are perfect for treating acne in those hard to reach places, like your neck and back. Perfect for those especially active teens, these body pads help keep your pores clear of dirt, oil, and sweat. These elements are a hot-bed for bacteria so keeping your skin clean, as we said, is crucial to reducing acne. 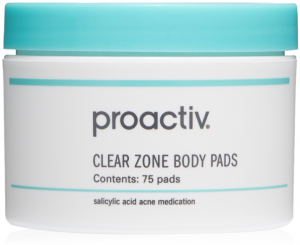 The Clear Zone pads are dual-textured pads that contain Salicylic Acid. This substance penetrates deep into the skin to reduce inflammation and even out your complexion. It also helps in removing dead skin and debris to allow your skin to regenerate. 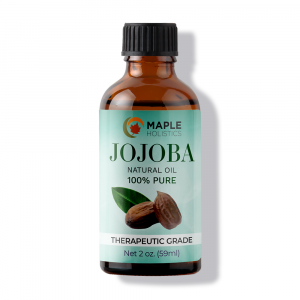 Use this on hard-to-reach areas of your body to control oil production and renew the skin. Not only do these pads reduce acne, but it can also prevent new pimples from forming. This is thanks to the Glycolic Acid that helps to exfoliate the skin and clear it of impurities. Gently wipe particularly affected areas of your skin with a pad when needed. It’s a quick and easy solution to keeping specific problem areas clean and refreshed. Nobody wants to suffer from the external ramifications of puberty. 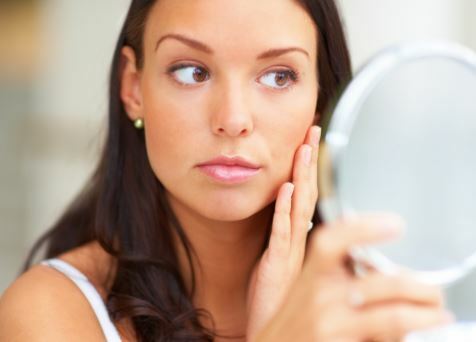 The good news is that there are pimple-preventing steps we can take to keep our skin and bodies healthy. I’m a big advocate of taking the natural approach wherever possible when it comes to my health. This means that I wouldn’t rush to use chemical-based or heavily medicated treatments to cure my skins woes. It’s usually best to make healthy lifestyle changes if you’re looking to really get to the root of the problem. Eating a balanced diet filled with antioxidants and fatty fish, as well as keeping your skin well hydrated with water are an essential precursor to any treatment. Your skin care routine also plays a big part in caring for and curing your teen acne. That’s where Proactiv come in. Their products contain ingredients that are specially formulated to tackle acne and bacteria from the root cause. 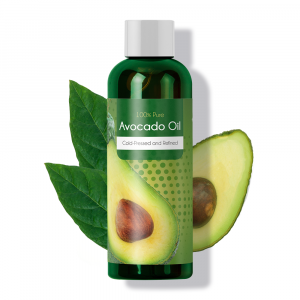 This leaves your skin clean and ready to absorb treatments. Whether you need an emergency cream on-the-go or a fool-proof 3-step system to keep your regime in check, Proactiv is the place to start. Bottom line is that there are enough things to stress about in your teenage years – acne doesn’t need to be one of them.